He was the sweetest, kindest kid you'd ever know. 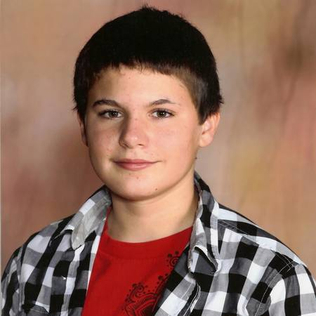 Jamey Rodemeyer was an American gay teenager, known for his activism against homophobia and his videos on YouTube to help victims of homophobic bullying. His suicide was attributed to constant bullying, and led to the proposal of new cyberbullying legislation. Jamey was born in Buffalo, New York. He lived with his parents, Tim and Tracy Rodemeyer, and his older sister Alyssa in their home near Buffalo, New York. He had attended Heim Middle School in the past and was a freshman at Williamsville North High School at the time of his death. He was open about his sexuality, and faced severe bullying as a result of it. Jamey had talked to his mother about being gay for the first time about a year before his suicide. Jamey encountered bullying throughout middle school because of his sexuality. Jamey began getting bullied in the 5th grade and it never stopped. According to Jamey's family, the 9th grader had been teased since he was in the 5th grade. "He would come home crying and we would have to talk to him... sometimes on a daily basis," says his mother, Tracy. He would be teased about his sexuality mostly. Anonymously posted comments on his Formspring account included hate messages such as: "JAMIE IS STUPID, GAY, FAT ANND (sic!) 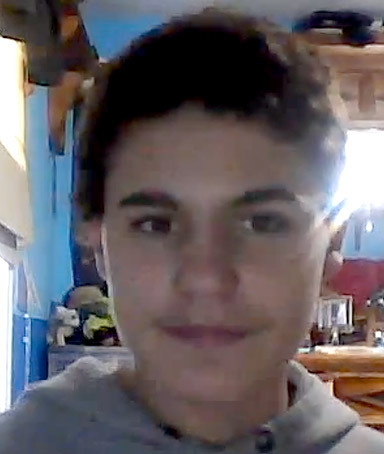 UGLY. HE MUST DIE!" read one post. Another read: "I wouldn't care if you died. No one would. So just do it :) It would make everyone WAY more happier!". Despite this, he used his experiences to make videos on YouTube under the username xgothemo99xx to help others who were experiencing similar situations. He also made a video for the "It Gets Better" project, a website dedicated to preventing teen suicide. His parents were supportive of their son, and Jamey was seeing a social worker and a therapist. But that didn't stop the bullying, and above all it didn't ease Jamey's pain, which spilled onto his Tumblr account. Despite their son's numerous cries for help online, Jamey's parents thought he was doing well. His father Tim told WGRZ that Jamey said that he was happy. Friends reported the bullying to guidance counselors. But everyone, including his mother, thought he had grown stronger. Jamey loved his family, video games and Lady Gaga. 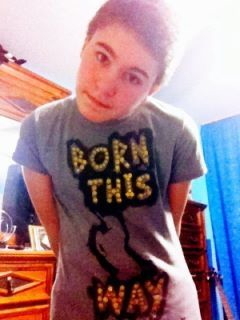 Jamey's inspiration to help others came from Lady Gaga, whom he admired most. He often referred to her in his videos, and quoted her lyrics to provide guidance to others. 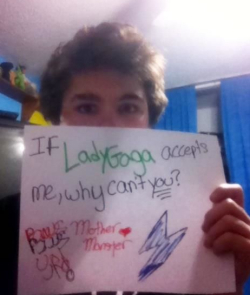 He took comfort in Gaga's lyrics of self acceptance. In a video message he posted, telling kids not to bully, he said, "We were born this way. Hold your head up and you'll go far." In May 2011, Jamey told his friends that he was bisexual... a first step before admitting he was gay. He thanked Lady Gaga for supporting the gay community and told the viewers, "Love yourself and you're set. ... I promise you, it will get better." He contributed to an online video for an international campaign called "It Gets Better" project, which provides testimony from adults and celebrities designed to help young gay, lesbian, bisexual and transgender people confirm their identity and survive the pitfalls of being different, and reassure troubled and potentially suicidal LGBT youth that life improves as they get older. Indeed, he received an outpouring of support online from Gaga's fans, who call themselves "little monsters", as well as from his friends. Jamey's school counselors had advised him not to go on social media sites to talk about his sexuality, according to the Buffalo News. Some parents urge others to monitor their children's social networking accounts. And school principals such as Anthony Orsi of Benjamin Franklin Middle School in Ridgewood, N.J., have urged middle-school parents to outright ban the use of social networking to prevent cyberbullying. Social media sites such as YouTube and Facebook have made it easier for bullies to target their victims, but at the same time they are sometimes the only venue for talking about their pain. On September 9th, 2011, Jamey posted lyrics to a song by Hollywood Undead that included the line, "I just wanna say good bye, disappear with no one knowing. ... I don't wanna live this lie, smiling to the world unknowing." The day before his suicide he wrote: "No one in my school cares about preventing suicide, while you're the ones calling me [gay slur] and tearing me down." He put up a separate post that day letting everyone know it was National Suicide Prevention Week. But still no one listened. On 1.30am on Sunday morning, he left two final messages on one of his blogs saying he was looking forward to seeing his great grandmother, who recently died, and one as a tribute to Lady Gaga, thanking her. Jamey's mother told the Buffalo News, "He touched so many hearts, so many people. I didn't realize how many people he touched. He was the sweetest, kindest kid you'd ever know. 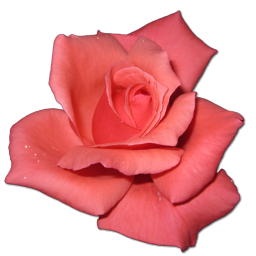 He would give all his heart to you before he gave any to himself." His mother said his tears and anger had recently dissipated. "Lately, he's been blowing them off, or at least we thought he was," she told the Buffalo News. "It's a very challenging time for parents and for youth," Presgraves of GLSEN said. "You have a scenario where for a lot of youth, it's the only support to go online and seek peers to give them support and to feel connected to a community. At the same time, they expose themselves to negative cyberbullying." Friends of the 14-year-old reported the message posts to the school guidance counsellors, she said, but by then it may already have been too late. 'He was totally against bullying. He has had issues since fifth grade. He had suicidal tendencies back then,' she told Buffalo News. She said she tried to talk to him on numerous occasions and asked him to talk to her about what was wrong, but he assured her that he was OK.
Last weekend the family went to a camping spot they would frequently go to and she said he seemed really happy.